Adam Machon is an experienced senior executive with global operating experience across the oil, gas and resources sectors. Adam leads a proud team at Contract Resources that provide innovative, customer focused solutions to our clients in Australia, New Zealand and the Middle East. Prior to joining Contract Resources, Adam spent 5 years in the United States as the leader of Ferrovial’s successful diversified Oil & Gas and Petrochemical contracting division. Prior to this he held senior management roles at Broadspectrum in Australia and prior to that was employed at Qantas Airways. He commenced his career as a graduate Chemical Engineer at Caltex Refineries in Sydney, Australia. Adam attributes the ongoing strength of our business to the commitment, expertise and energy of our workforce. We are a ‘critical path, mission critical’ contractor that takes on difficult challenges and solves them to ensure the safe delivery of our services for the benefit of our clients. Adam is passionate about safety and service quality. Strong delivery performance and safety are key priorities of our Board and Senior Management Team and accordingly, Adam spends considerable time in the field engaging with our workforce and clients. Adam holds Bachelor of Engineering (Chemical) and Bachelor of Commerce (Finance) degrees and is a Graduate of the Australian Institute of Company Directors. Steve Whiteman is an experienced finance executive with global finance experience across a range of contracting industries. 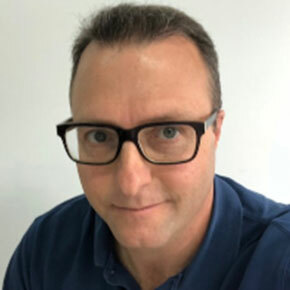 Steve is a key member of the Senior Managementa Team that provides contracting services to customers in Australia, New Zealand and the Middle East. Before joining Contract Resources, Steve spent the past 10 years working in Industrial Contracting with both Broadspectrum (now Ferrovial Services) and UGL. During this time, he fulfilled the Head of Finance role for Boradspectrum in New Zealand and prior to that he worked with Adam as the finance lead at Ferrovial’s successful diversified Oil & Gas and Petrochemical contracting division in the United States. He has held senior finance roles at Head Office/Corporate and Operational levels with Cochlear and Vincor Wines International where he relocated to Perth, Western Australia and Toronto, Canada respectively. He commenced his career as a graduate with the Commonwealth Bank of Australia in Sydney, Australia. Steve holds a Bachelor of Commerce (Marketing and Economics) and a Masters of Accounting degrees and is a CPA Australia charter holder. He is also a member of the Australian Institute of Company Directors. Ross Jury established Contract Resources operations in the Middle East and has grown the business in the region to a highly successful standalone business with operations in Oman, UAE, Qatar, Saudi Arabia and Kuwait, with regional headquarters in Abu Dhabi. 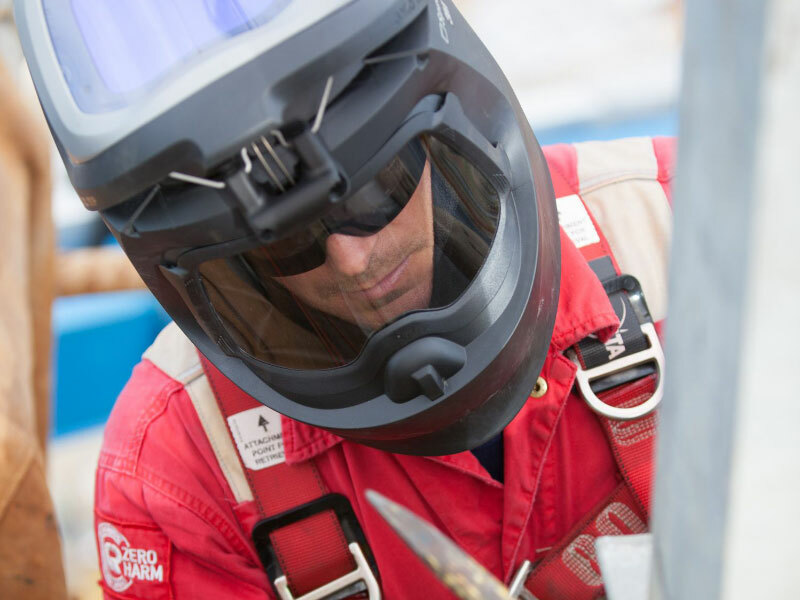 Ross and the team in the Middle East have established a strong brand of safety and service quality. Ross has placed strong emphasis on training and competency and has grown a core team of over 400 employees in the region. Ross has also been the driving force behind the award of a number oflong-term contracts with Tier 1 clients including ORPIC (Oman), KNPC (Kuwait),Emirates Global Aluminium, Shell, ADNOC (UAE), Qatar Petroleum, Qatargas and ENOC (UAE). The business in the Middle East has a successful track record and is experienced in rapid mobilisation and the logistical challenges involved in operating across such a broad geography. Early in 2019, we will formally commence a range of scopes of work at Emirates Global Aluminium’s new Aluminium Refinery in Al Taweelah, UAE. This project is an important milestone for the business and the scope includes hydrojetting, pigging (or descaling), vacuum truck and mechanical support. Ross has over 30 years’ experience in the Industrial Services Contracting Industry. Prior to joining Contract Resources, Ross held senior positions in New Zealand and the Middle East with Veolia Environmental Services. Ross’ earlier career was as a field operator and it’s through this experience Ross understands the need for delivery, which encompasses the “right resources in the right place at the right time, with work delivered safely”. Mike Charles oversees Contract Resources Australian West Coast business unit which includes Western Australia and the Northern Territory. The business has a strong focus on servicing our large LNG producer clients, both onshore and offshore, and also includes Contract Resources significant investment in the successful Karratha Mercury Processing Facility- the largest mercury waste treatment facility in the southern hemisphere. Mike joined Contract Resources in 2003 while still at University in New Zealand and worked on international projects with Contract Resources for the first few years before relocating to Perth in 2008. During his time with the business, Mike has held various roles ranging from Project Technician, Supervisor, Project Manager, Offshore Manager and Operations Manager. Mike is passionate about our business,our people and culture, and ultimately the safe delivery of value and world class project execution which Contract Resources is known for. 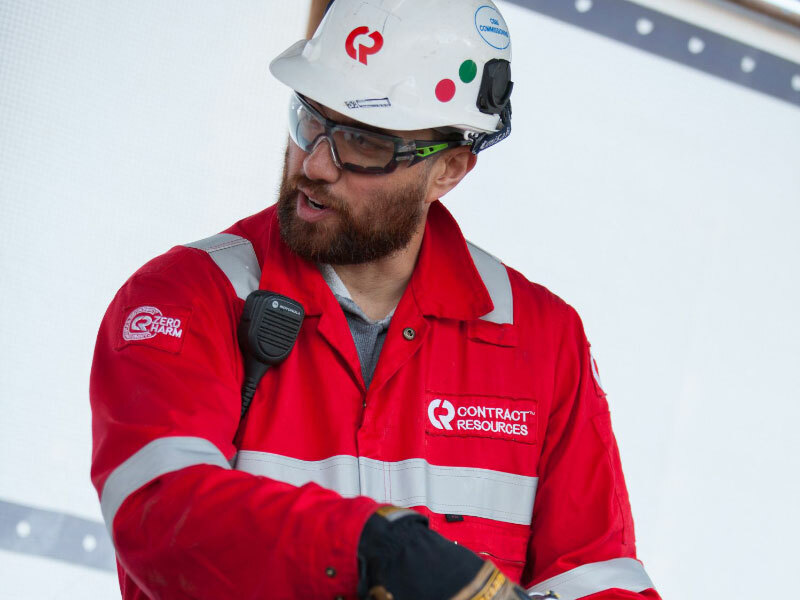 Mike is extremely proud of the reputation Contract Resources has established within the industry globally and the high-risk scopes of work our people deliver on a daily basis, keeping our clients mind at ease that they have engaged a safe and reliable contractor. Mike holds a Bachelor of Science and Master of Business Administration degrees and is a member of the Australian Institute of Company Directors. 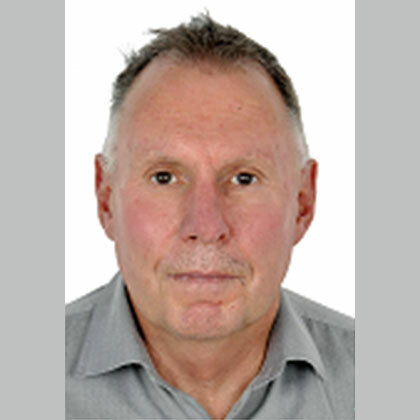 Stephen Iremonger leads the New Zealand team in specialist Industrial and Mechanical Services within the Oil and Gas, Dairy and Geothermal sectors. Stephen has over 20 years of international operations and project management experience. While his most recent role is that of General Manager New Zealand, he also leads the groups Innovation Centre that has created a range of technologies and processes to enhance the safe delivery of services to our clients.Stephen has held roles as Global Operational Excellence Manager, Global Catalyst and Mechanical Specialist, Major Project Manager and Specialist Technician. Stephen prides himself on being a strategic thinker who delivers results for clients within critical path environments. Clients value his blend of safety focus, practical experience and creative problem solving. His no nonsense management approach is strongly supported by his technical knowledge and an emphasis on front line leadership. Prior to his career with Contract Resources, Stephen has worked in industrial rope access operations and was a small business owner within the agricultural sector. Stephen is a member of New Zealand Institute of Company Directors. 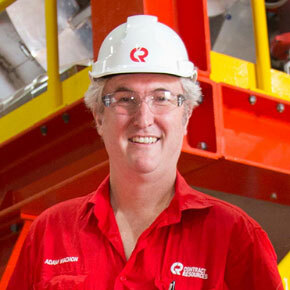 Joe Callaghan provides leadership to Contract Resources Australian East Coast business. The East Coast organisation is geographically spread with our major equipment hub in Lytton, Brisbane and workshopsand offices in Gladstone, Melbourne and Adelaide. 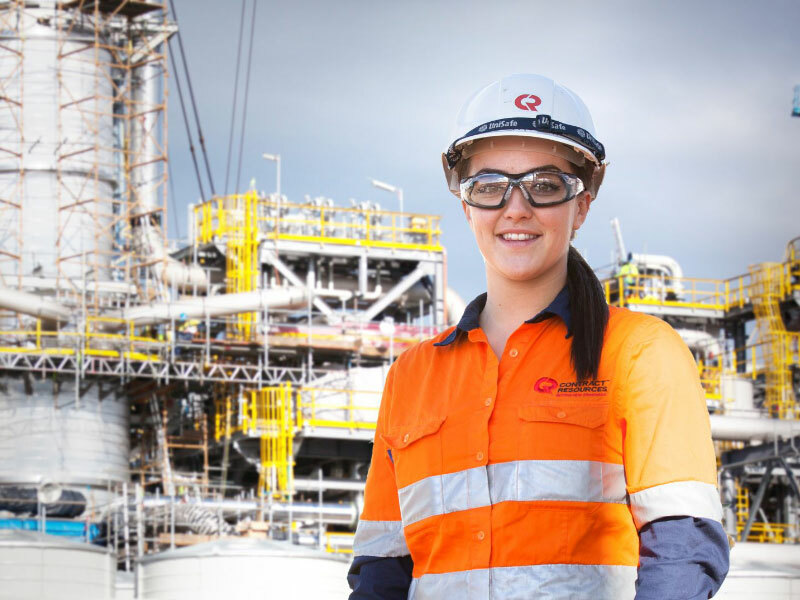 Contract Resources also have embedded workforces at the Caltex Lytton Refinery and the Mobil Altona Refinery. Before joining Contract Resources, Joe had worked as a management consult for his own company. 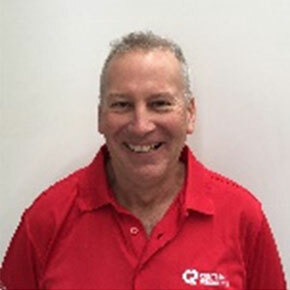 Prior to that,Joe had developed into a highly experienced professional with a diverse skill set and a sound management background in oil refining process operations, planning and scheduling, projects and major maintenance, HSE and risk systems working for Caltex Australia. Early in his career Joe worked for Alcoa in alumina refining and ACI glass manufacturing. Joe has had a long association with Contract Resources as a client. He believes that the organisational values of clients, innovation, people, zero harm, teamwork, delivery and quality are ingrained in our employees. This makes the company a great one to work for and to have working for you as a client. Joe holds a Bachelor of Engineering (Chemical), Master of Engineering Science and Master of Business Administration degrees. Adriana joined Contract Resources in May 2016. In her role as General Counsel, Adriana manages the legal, commercial, procurement and compliance teams and is responsible for providing legal advice to Contract Resources’ Board, CEO and broader leadership team. Adriana, together with the senior management team, has been a key driver of ensuring consistent contracting discipline across the group. 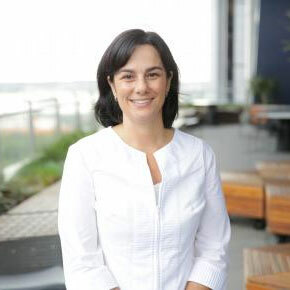 Prior to joining Contract Resources, Adriana spent more than a decade with Orica within the mining services business advising on competition, commercial and corporate law issues in several jurisdictions, having been based in both Singapore and Sydney as Senior Legal Counsel managing global risks and operations. Adriana’s expertise in managing negotiations enables her to dive deep into understanding the commercial impacts of her advice whilst keeping an eye on the big picture. Adriana is passionate about sharing her knowledge having participated in a number of mentoring programs and enjoys spending time with the workforce in the various Contract Resources’ locations. Adriana holds a Bachelor of Laws and Master of Laws (Corporate and Commercial) degrees and is a member of the Australian Institute of Company Directors.